I totally missed the boat on this one! 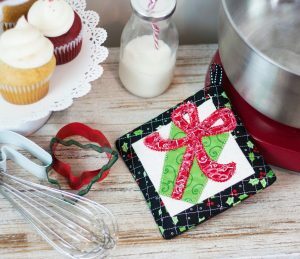 I looked at these totes and aprons by Kimberbell and thought they were great for machine embroidery – but didn’t consider all of the other possibilities! These canvas totes come in natural and denim and are totally finished except for the side seams which are serged! 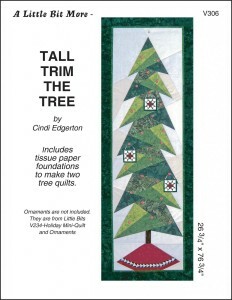 When you are done decorating, just stitch up the sides with a straight seam! My grandchildren are coming down for “grandma camp” in a few weeks. My idea? We are going to cut pockets from old jeans, pinking the fabric beyond the pocket so we can attach them to the tote easily. 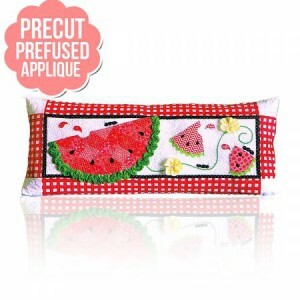 They can embellish them any way they want and then we will stitch multiple pockets on each side. We may even add a few to the inside! 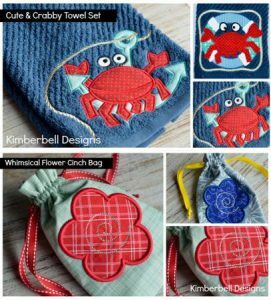 Kimberbell has those assortments of adorable trims as well. 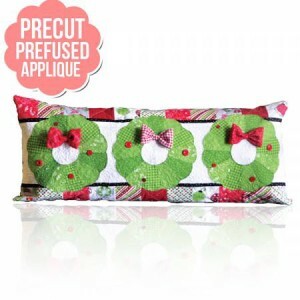 Adding ribbon to the tops of some of the pockets might be fun too! 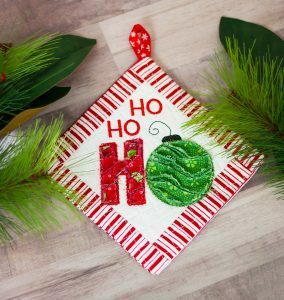 Who says they have to be just for machine embroidery??? And then I saw these blank aprons in adult and children’s sizes! 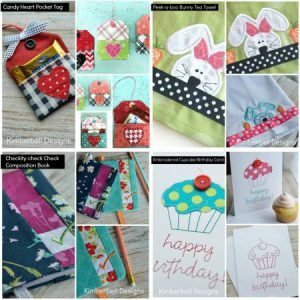 Craft aprons with multiple pockets? What do you think??? 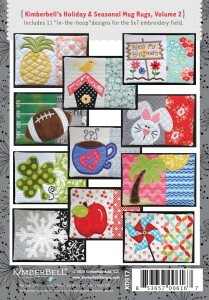 These are all affordably priced and in stock! I just placed my order! 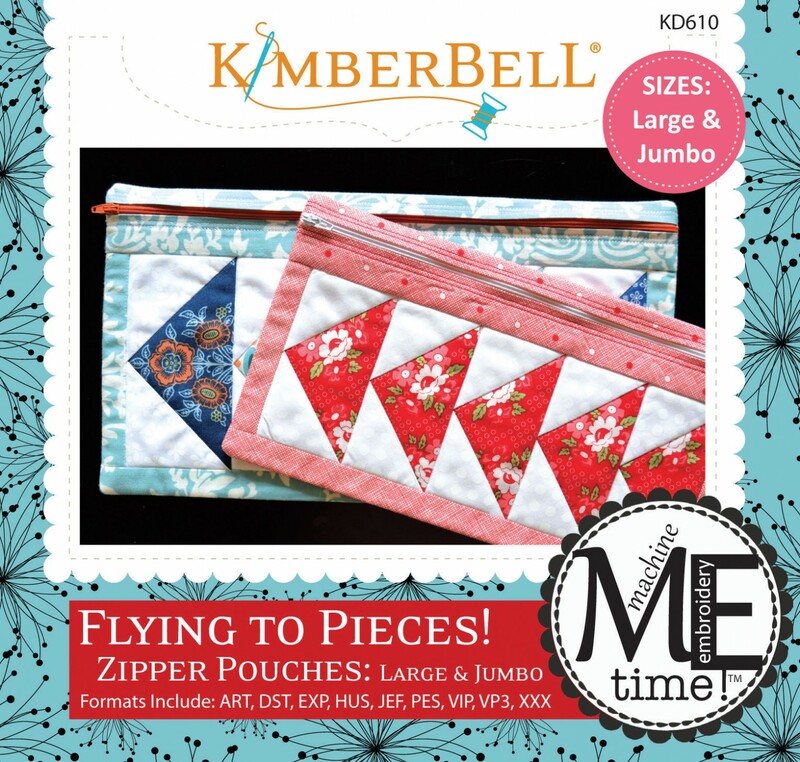 I love everything Kimberbell! That girl is a creative genius! 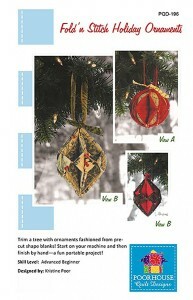 I know the holidays are over – but this is the perfect time to think about future gifts and classes. 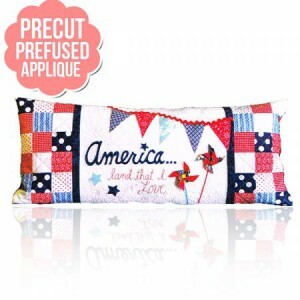 Check these out – and then we will talk…. 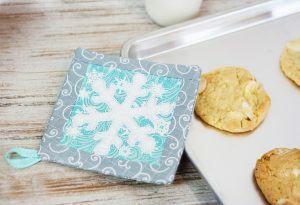 Take a moment after the holidays to make a list of people you would like to surprise next year with a little something. Teachers, coaches, bus drivers, card clubs, book clubs – you get the picture! 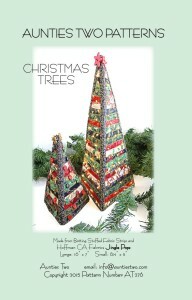 Many holiday fabrics and patterns are on sale so it is the perfect time to plan for next year. 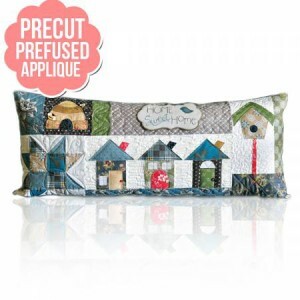 After all, the fabric is a quilters half price gift wrap! Planning ahead is ALWAYS a good thing! Its All in the Hoop! 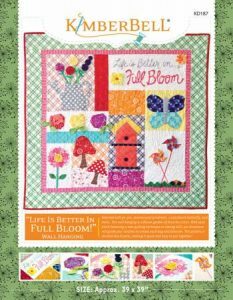 I love it when I fall in love with a pattern – and see that it is “Volume One” – which means there is going to be more goodness to come! 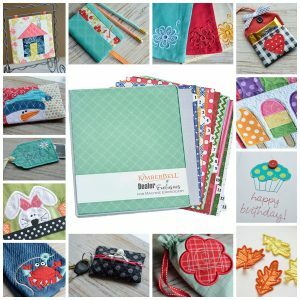 In Kim’s own words: Kimberbell Noteables are composition book covers that turn ordinary writing paper into a noteworthy journal. 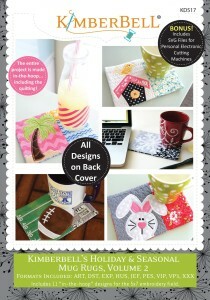 Each machine embroidered cover is fully lined, durable, and reusable and best of all, each are made (even pieced!) entirely in-the-hoop! 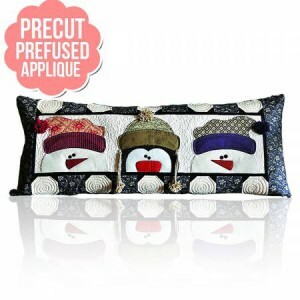 There are four different options for the small size; two for the medium size; and two for the large. The best news? 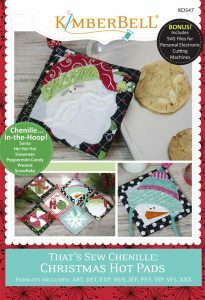 They are all totally done in the hoop! 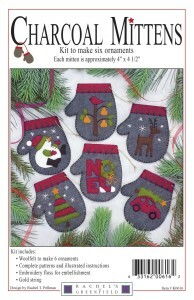 Wouldn’t these be great gifts for children and adults alike? 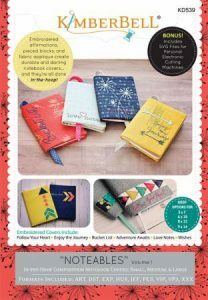 Who wouldn’t love a personal journal or diary? 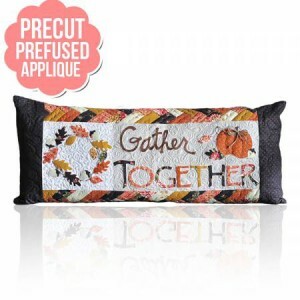 Or, personalize them for members of your book club….or make them for your favorite teacher. Have shower participants write encouraging notes to the future brides or expectant mother. 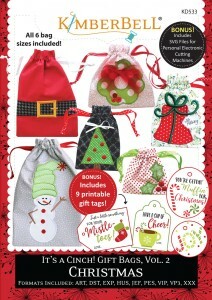 The gift possibilities are endless! The Life is Better in Full Bloom is organized so that you can learn eight different techniques. 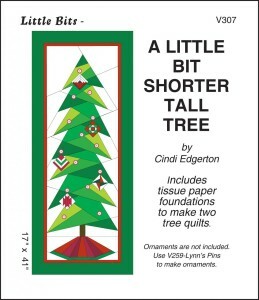 This 39-inch square wall hanging features yo-yos; three-dimensional pinwheels, and a variety of other techniques. The detailed instructions will guide you each step of the way. But, this would be a great class as well. Why not teach this in your shop? 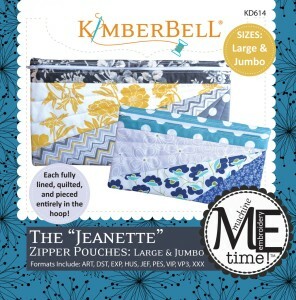 Kimberbell has provided everything you need to start a shop program. 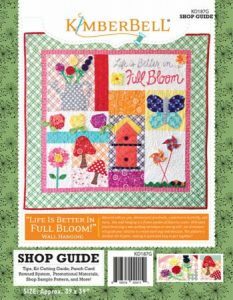 A shop just needs 1 Life Is Better In Full Bloom Shop Guide and can order the accompanying patterns for each participant at your shop. 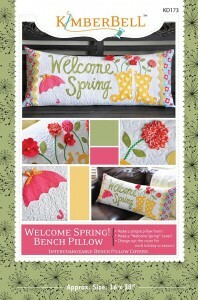 These patterns are expected to arrive this month so order them now so you can start Spring off with a bang! 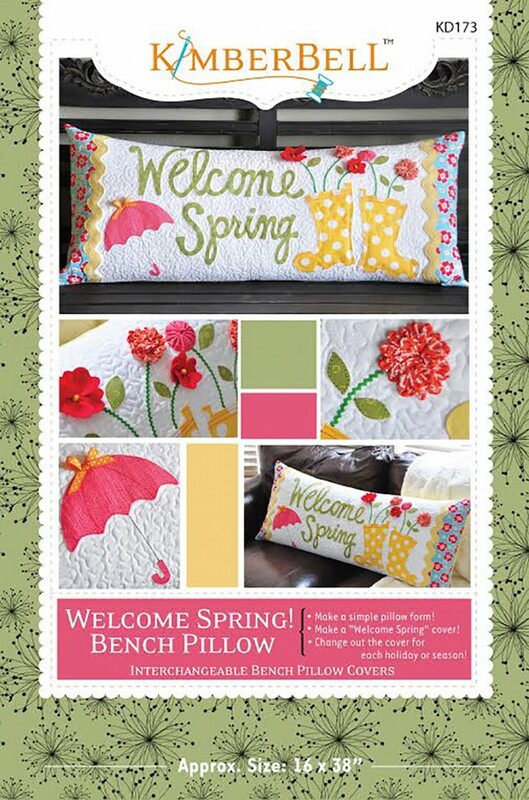 The bench pillows by Kimberbell are one of my favorite seasonal projects because just one can transform a room – or a deck. 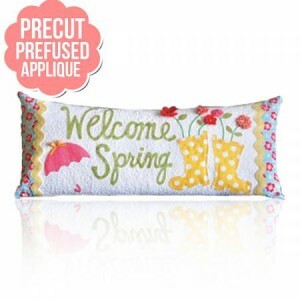 At 16″ x 38″ they make an impact in any decor. An added bonus? 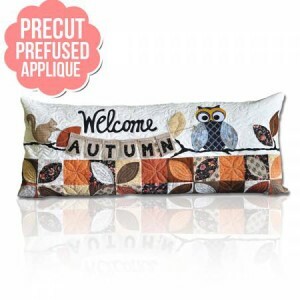 A twin bed is 39″ wide so one across a child’s bed is a great way to spruce up a bedroom in an instant! 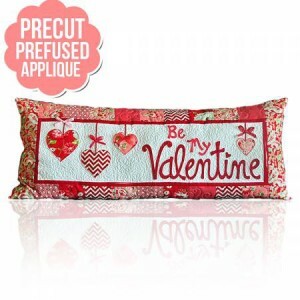 Now these patterns are available three different ways – in a traditional pattern; a machine embroidery CD; and a laser cut version so there is no reason not to start your collection today! 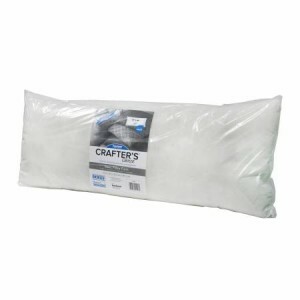 Did you know we actually have the pillow forms – and it is a Checker exclusive??? Why not make this the gift that keeps on giving? 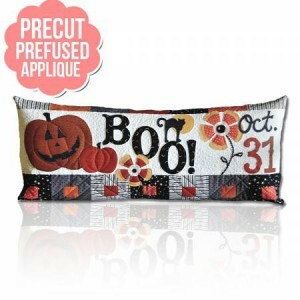 Give them the form and December pillow – and then send them the new cover each month! 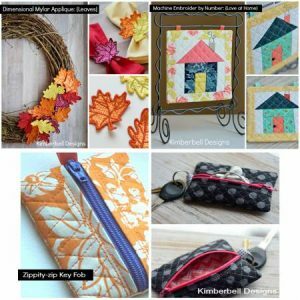 When a gal has 10 of the top 100 patterns on the Checker website, Kim Christopherson of Kimberbell has gone from a great designer to a LEGENDARY designer! 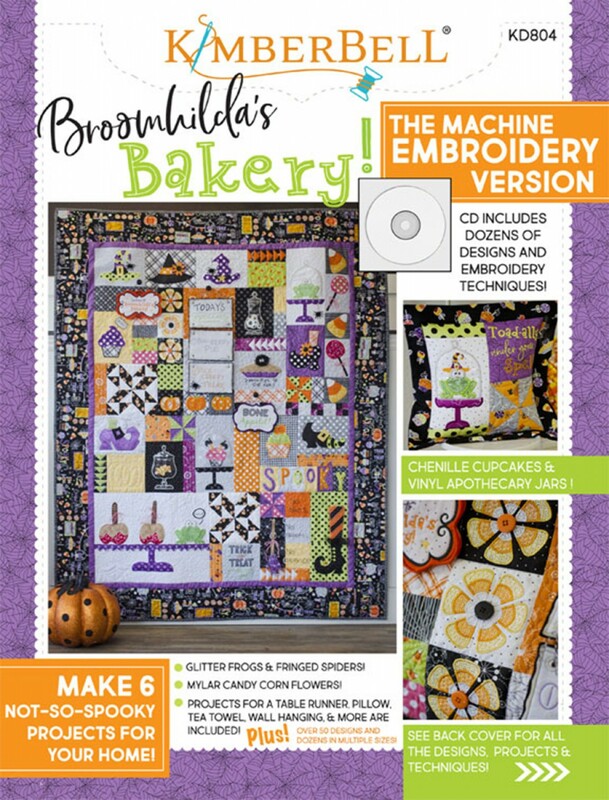 She not only has an eye for designing appliques that make everyone smile, she has an engineering mind that creates new concepts that make my head spin! 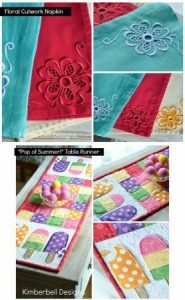 Her latest Pinwheel Parade pattern should be showcased at every summer event! 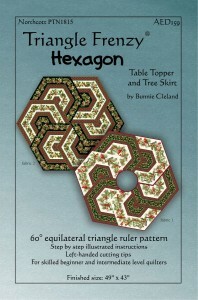 The pattern includes bonus files for cutting machines as well! 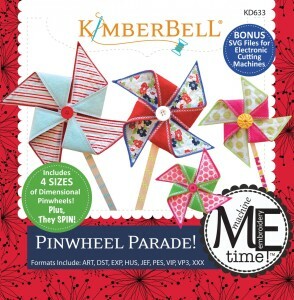 These pinwheels come in four sizes and actually SPIN! Who could resist? 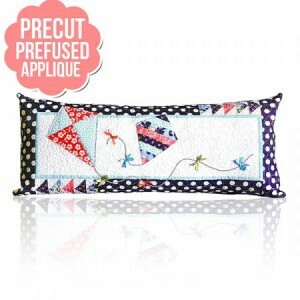 What a great way to demo sewing machines and Silhouettes this summer! 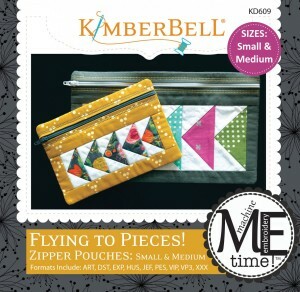 I was so fascinated by these bags at Market that I had to go to Kim’s booth and see a demo! 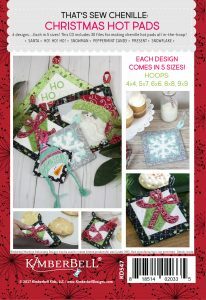 They are all done in the hoop – even the zipper! 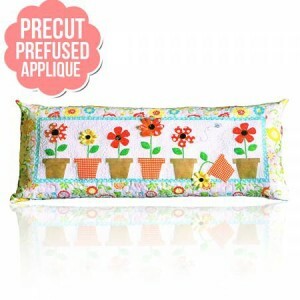 Jeanette is the latest addition to this line. Another great demo….. The flying geese version comes in two sizes. 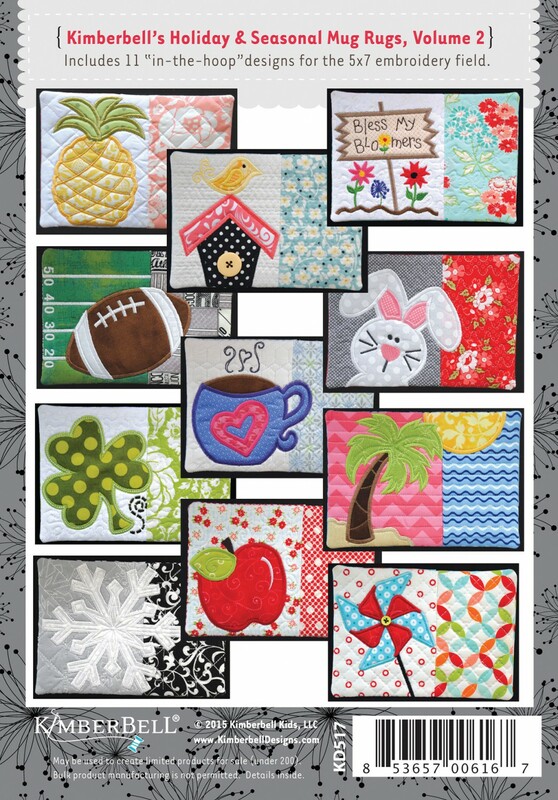 This mug rug assortment will be your go to every time you need a quick gift! 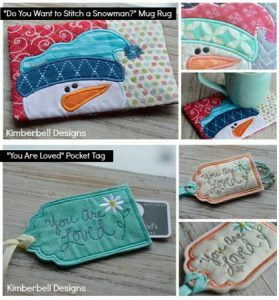 If you want your customers to upgrade to an embroidery machine, these patterns will get their attention! Kim has also designed a series of Bench pillows with switchable panels for each holiday. These are a great alternative to the traditional Block of the Month programs. 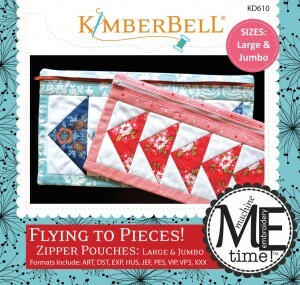 Check out everything Kimberbell on our website!